FOMP is proud of this endeavor to honor and celebrate Tim Watkins as he was a huge part of our group and community. He was prolific and extremely instrumental in trail building throughout the Monument and Palmer Lake region, and he constructed many of the existing trails in the work center that a multitude of users now enjoys. I personally knew Tim for over three decades and his smile, laughter, love, friendship, selflessness, sweetness and warmth are greatly missed. In cooperation with Kids on Bikes, Barnett Bicycle Institute, Trails End Taproom, and the Watkins family we are excited to bring into existence the “Tim Watkins Bicycle Mechanic Scholarship“. We are looking to start the initial fund of this scholarship through this fundraiser. This amount will be for two students. Tim Watkins was a respected bike mechanic at multiple shops across Colorado Springs and started his own shop several years ago in Monument called Balanced Rock Bike and Ski. He is credited with helping establish many of the trails west of Palmer Lake and he mentored and taught countless people the fundamentals of riding. 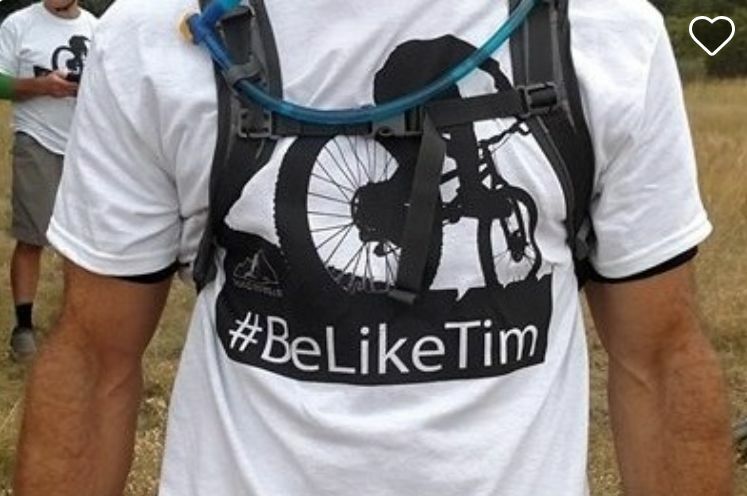 Seeing only fit that Tim existed to further mountain biking, this scholarship aims to do the same. Local COS recipients will be equipped with the expertise and connections from this scholarship. Recipients will be able to affect and change the Colorado Springs bike community. Through hands-on learning, component-by-component study, and formal lecture, scholarship recipients come away with the skills to advance their careers in the bike industry, gain advanced mechanical knowledge and deepen their bike industry network. The scholarship funding will be maintained by friends of Tim Watkins along with Trails End Taproom. Kids on Bikes will select the recipients of the scholarship with their strong understanding of the community and those that best fit the model. Barnett Bicycle Institute, the leading mechanic school in the country, will train and equip recipients. This entry was posted in Uncategorized on May 21, 2018 by gram. As I write this it is 38F and light scattered rain … so we will be postponing our trail work and tree work session until Tuesday May 20 at 6pm. We will hold out board meeting this evening at 7pm in the Fire Center Classroom. That is the first building on the right when you drive into the fire center. Board meetings are open to the public, please feel free to join us. This entry was posted in Board Meeting, FOMP, Trails, Uncategorized on May 13, 2008 by chris.